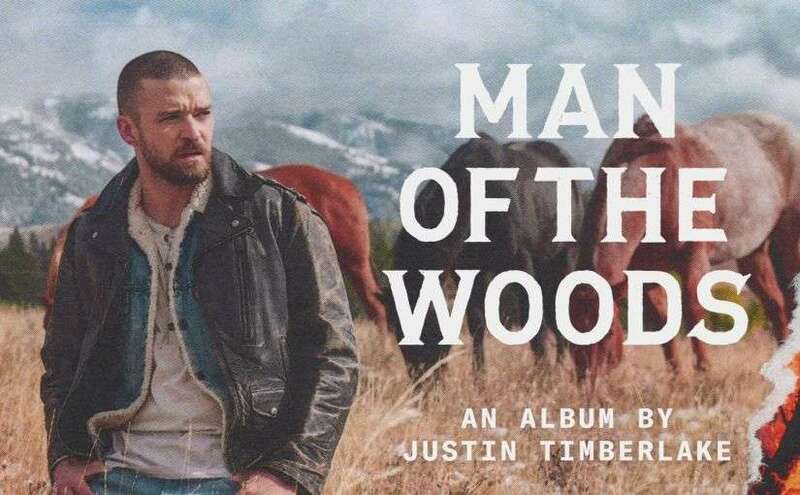 Justin Timberlake now has 4 albums that have been No.1 in the Billboard 200 Chart with ‘Man of the Woods’ topping it this time around. RCA Records released it on Feb 2, and it sold 293,000 album units in its first week that ended Feb 8, out of which 242,000 were traditional album sales. Since Taylor Swift’s ‘Reputation’, this is the largest week for an album, both in terms of units and traditional album sales. Swift’s album sold 1.24 and 1.22 respectively. It is also the biggest week for an album by a male singer since Kendrick Lamar’s ‘DAMN.’ which sold 603,000 units and 353,000 in traditional album sales. The ranks of the most popular albums of the week in the U.S. are set forth by the Billboard 200. They are determined based on multi-metric consumption, in which Track Equivalent Albums (TEA), Stream Equivalent Albums (SEA) and traditional album sales are combined. The chart with Man of the Woods topping the list will be posted on Tuesday, February 13th. Of the 242,000 traditional album sales of the Man of the Woods, 139,000 were digital albums, 15,000 in vinyl LP and 89,000 in CD sales. 14,000 TEAs and 37,000 SEAs added up to a total of 293,000 units sold. Since the album ‘American Dream’ by LCD Soundsystem sold 16,000 in its first week in 2017, Man of the Woods claims the biggest-selling week for albums sold in vinyl. Since Nielsen Music tracking data in 1991, the album is second in the most vinyl LPs sold in the first week by a male artist. Lazaretto by Jack White sold 40,000 in its first week. ‘The 20/20 Experience’ was the last album released by Timberlake to top the Billboard Chart. The album was release in two installments, with both of them topping the charts in different months. The first installment, released in early 2013, topped the week with 968,000 traditional album sales. As for the second, the installment was released later that year and managed 350,000 sales in its first week. Before that, his album ‘FutureSex/LoveSounds’ also topped the weekly chart in 2006 with 684,000 units sold. Timberlake’s only album that did not top the weekly charts was his first one called ‘Justified’. It was a solo set that peaked at No.2 in 2002 with 439,000 units sold. Meanwhile, the No.2 spot in the Billboard 200 is occupied by ‘Culture II’ by Migos, as it sold 88,000 units, a 56 percent decline from its first week. Coming in at third is the soundtrack of ‘The Greatest Showman’ with 81,000 units sold and down by 15 percent from last week. Ed Sheeran’s ‘÷ ‘ (Divide) moved up a place to fourth, as it made 17 percent more sales from last week with 40,000 units sold. ‘24K Magic’ by Bruno Mars completes the top 5 on Billboard 200, as it moved a place down from fourth, with 35,000 units sold and a drop of 28 percent from last week. The other album in the top 10 are: ‘Stoney’ (6th), ‘DAMN.’ (7th), ‘Camilla’ (8th), ‘Luv is Rage’ (9th) and the ‘Now 65’ compilation (10th).